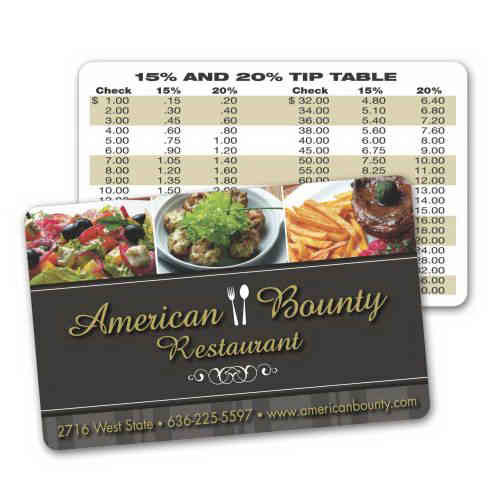 Reward repeat business associates with your company's custom laminated paper wallet / loyalty card! Measuring approximately 2 1/8 x 3 3/8, this handy card is made from 12 pt. paper and features lamination on both sides (around 15 mil. in total thickness). Customize your own four color process imprint (one or both sides), or choose our available stock art options - calendar and tip chart also available for side 2! Always In-Stock Item! Size: 3.38 " x 2.13 " x .01 "